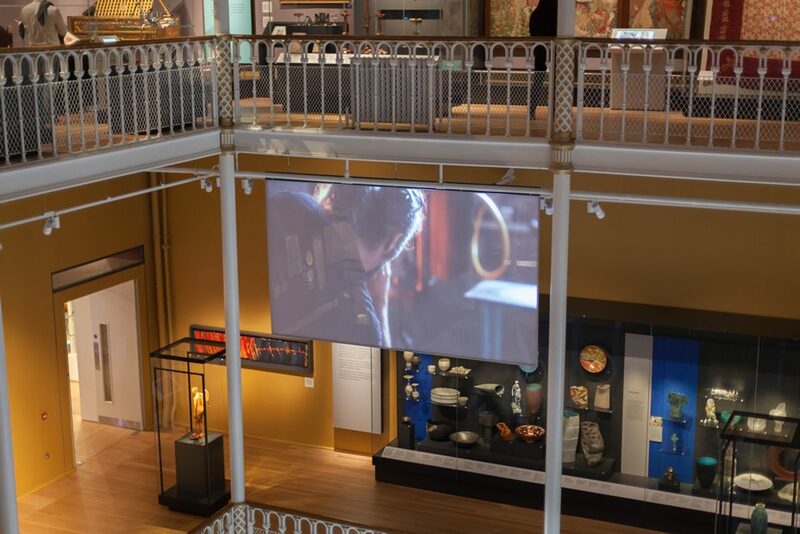 The National Museum of Scotland have more than 3,000 objects on display across four Art, Design and Fashion galleries and six Science and Technology galleries. 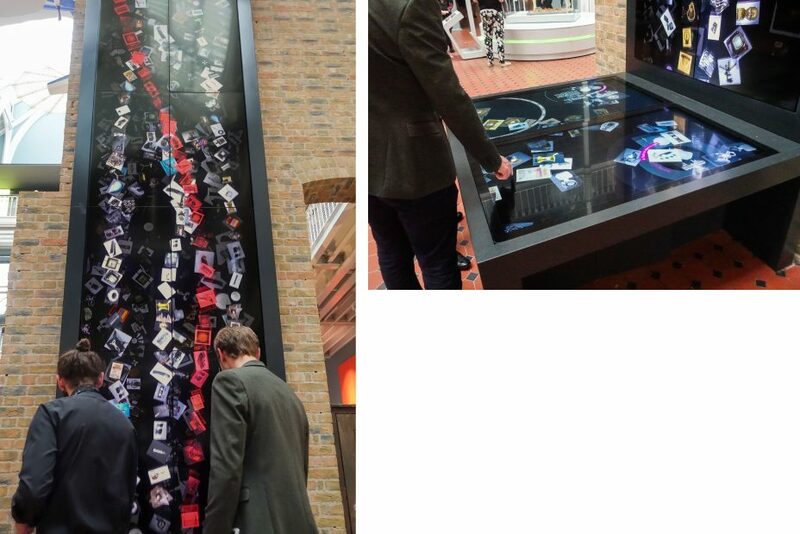 We have been involved in creating work for these ten new galleries including ten films and five interactives. 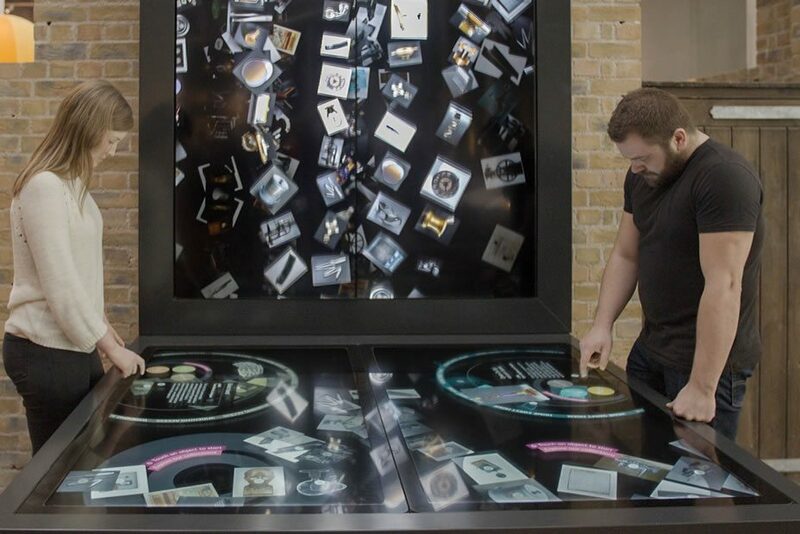 Visitors will experience the collections like never before, with in-depth information provided through a network of digital labels, audio visual programmes and a wide range of interactive exhibits. 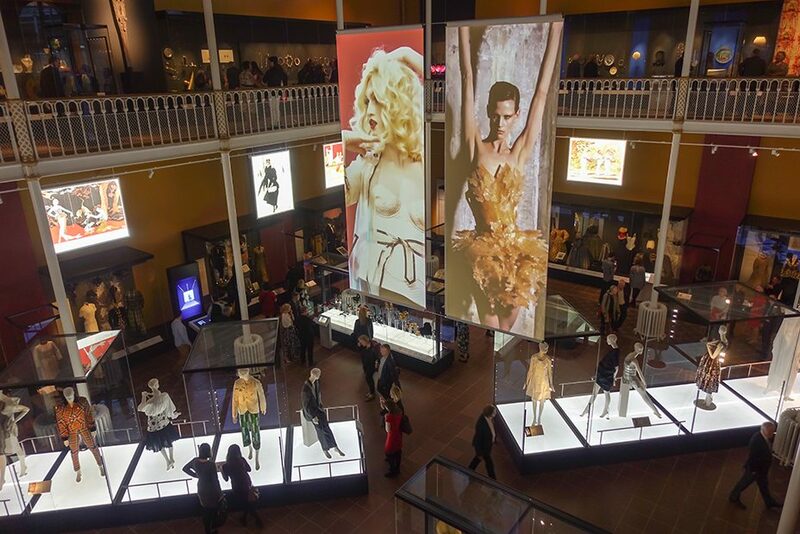 Highlights include the Collection Wall – 30ft waterfall interactive database of the archives, Style Me interactive featuring garments on display and a series of films by students from The Glasgow School of Art and Edinburgh College of Art. 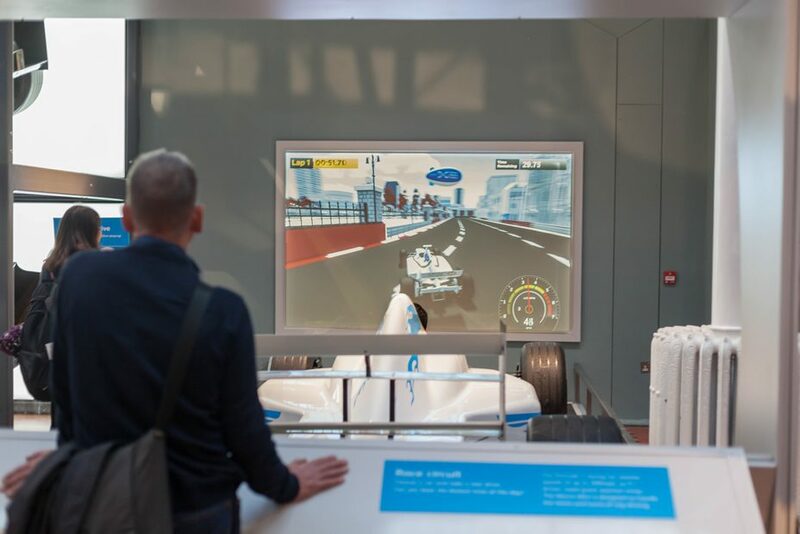 You can also try your hand at fashion design, build a robot or test your driving skills in a Formula 1 car simulator. 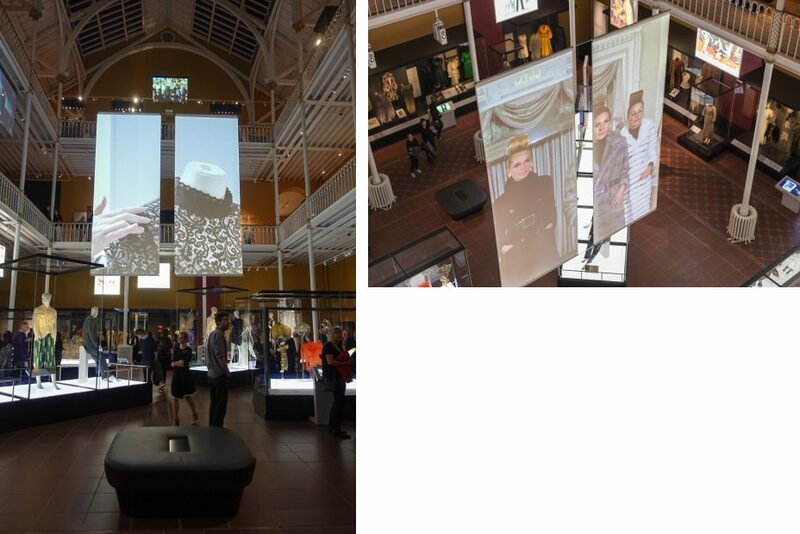 Two fifteen foot high suspended screens show projections of fashion films set alongside a bespoke score by London Music Producer Si Begg. We manipulated archive footage of fashion shows to create high energy sequences which is then followed by a ten minute ambient film we shot of current on trend fashion producers. 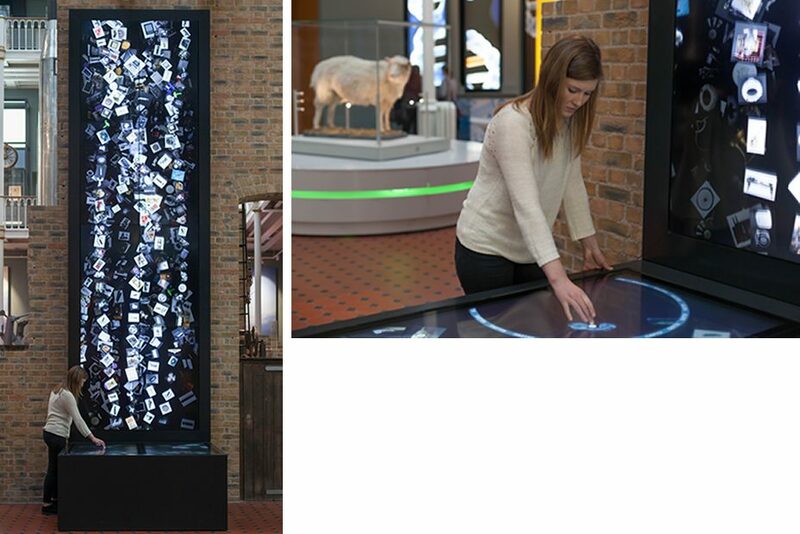 A 30ft high screen shows a waterfall of cascading images from the science and technology archive. 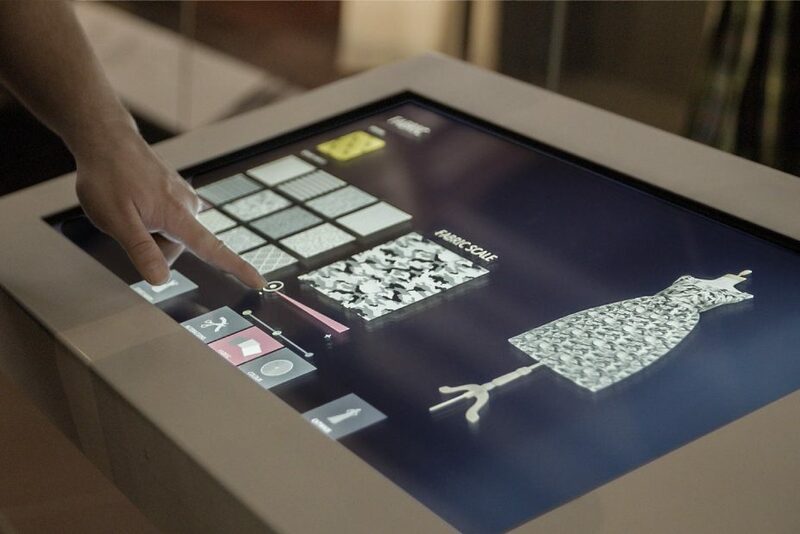 Visitors can select specific artefacts from the custom-built interactive database we designed to discover more about them. 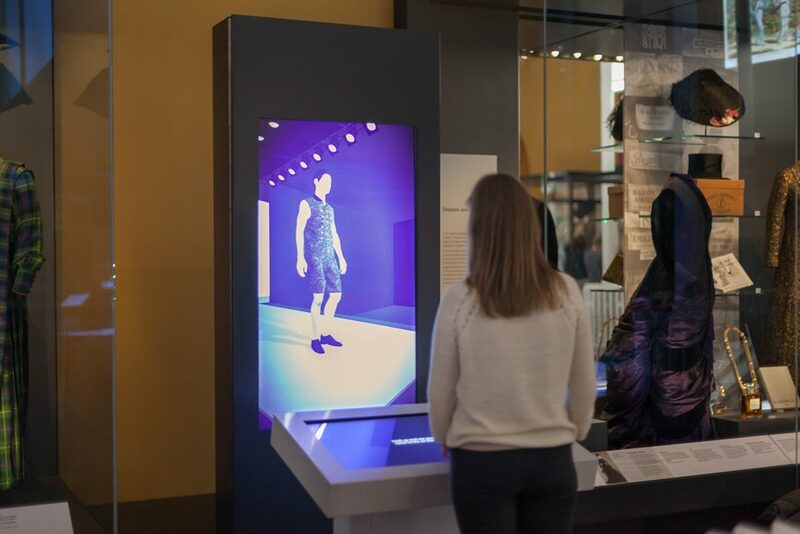 Visitors can step into a fashion designer’s shoes and customise their very own period piece of clothing by adjusting the cut, pattern and colour of a male or female garment. 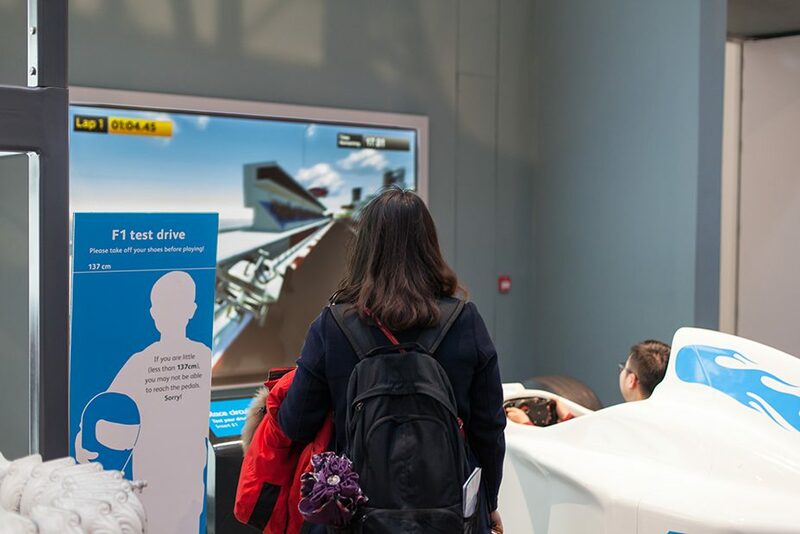 They can then view their creations on a 3D avatar walking down the catwalk. The fascinating process behind glassmaking and metalworking is shown in two live action films. We shot Scottish makers creating intricate pieces to reveal the craftsmanship behind their unique works. 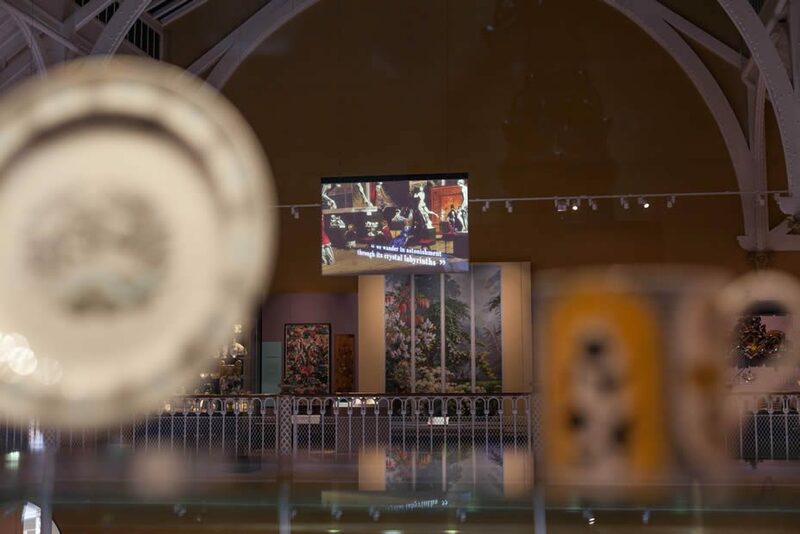 We animated vibrantly coloured paintings of The Great Exhibition and superimposed quotes from the time to create 2.5D scenes. 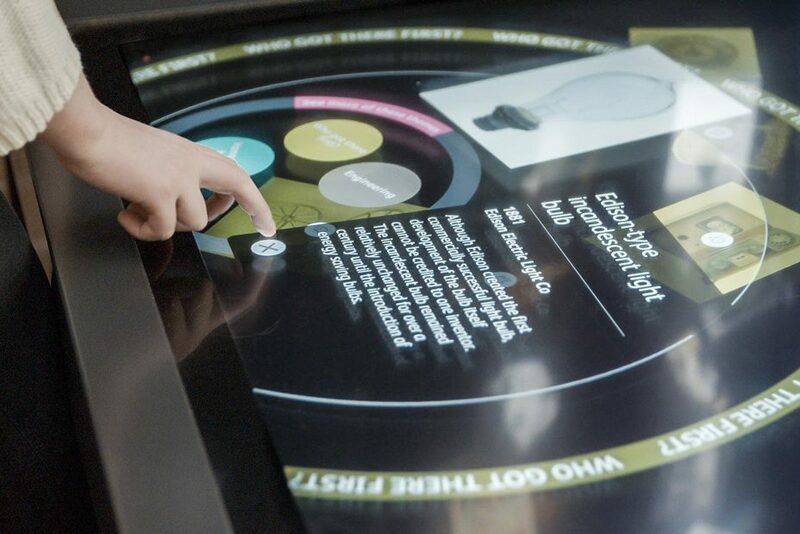 This interactive has fast become a hit at the museum. 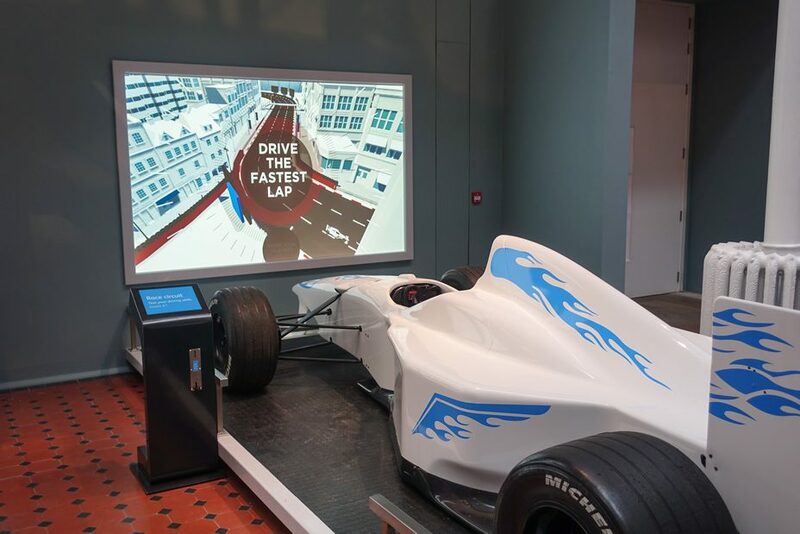 Visitors are queuing up to get a shot in the chassis of an actual Formula 1 Racing car and use the simulator controls which have been built in. The environment and the car were modelled using the Unity Games Engine.